The Revell made "black box", "lid-and-base" boxes from 1990/91 onwards.�For a ten year period Revell leased the Matchbox brand name. This range contains many reissues of Matchbox kits but also numerous kits of non-Matchbox origins. These were issued in parallel to reprints of older box styles. 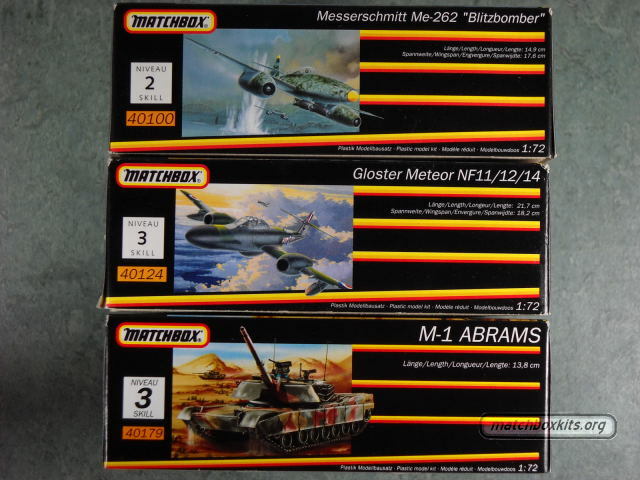 The boxes were restyled to type-7 when a change was made to an existing kit and the kit was renumbered or when new kits from other origins were added to the range.